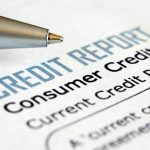 Question: When Can I Get A Free Credit Report? Answer: Pursuant to 15 U.S.C. § 1681j(a)(1)(A), any consumer reporting agency must provide you a free credit report once in any 12-month period upon your request. The best place to do this now is online at annualcreditreport.com which allows you to access your “big 3” credit reports, that is, the credit reports from Equifax, TransUnion, and Experian. If you request it online it will be almost instantly available. If you mail the request form in, the reporting agency has 15 days from the date they received the request to get you a credit report. See 15 U.S.C. § 1681j(a)(2). Notwithstanding your free annual credit report, you may also obtain a free credit report from a consumer reporting agency if an adverse employment action has been taken against you or a debt collection agency states that your credit rating was or will be affected. See 15 U.S.C. § 1681j(b). An adverse action is, for example, when your job application has been rejected, you have been reassigned or terminated, or denied a promotion based on a consumer credit report. Waiver of the credit reporting credit report charges are also allowed where you have been unemployed and are seeking employment within 60 days of requesting a report, you are public welfare receipt, or if you believe your credit report has fraudulent information on it. See 15 U.S.C. § 1681j(c). Regardless, even if you cannot obtain a free credit report, they are not too much as the allowable charge for a report is limited by statute. For 2017, the charge is limited to $12.00. Pursuant to 15 U.S.C. § 1681j(f), the charge may increase year-to-year based on inflation. If you think you have been wrongfully denied a free credit report or have questions about your credit report, or are just contemplating filing bankruptcy, please give us a call at (765) 640-1330.